I’m a bit behind with my posts, so I will send a few in a row. This one is about my trip to Malaysia in December with my sister. We stayed with my dad and spent some real quality time together. 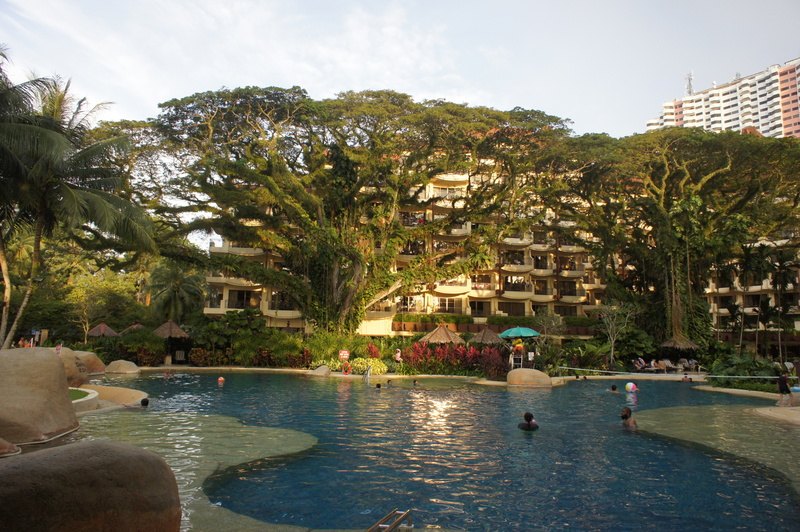 The first few days we stayed in Ipoh and visited local sights, such as the Buddhist temples in the caves and Lost World of Tambun, a water park near our dad’s house in Sunway city Ipoh. They had natural thermal pools, a wave pool (we were the only ones swimming), slides, and a small zoo with Siberian tigers, snakes, monkeys, deer, ancient turtles, birds etc. The animals were very well cared for and beautifully landscaped. The monkeys lived in the wild but came to the zoo to eat. The first weekend our dad drove us to Georgetown on Penang where we met our friend Bommy. It was lovely to see her again and we had a great time. 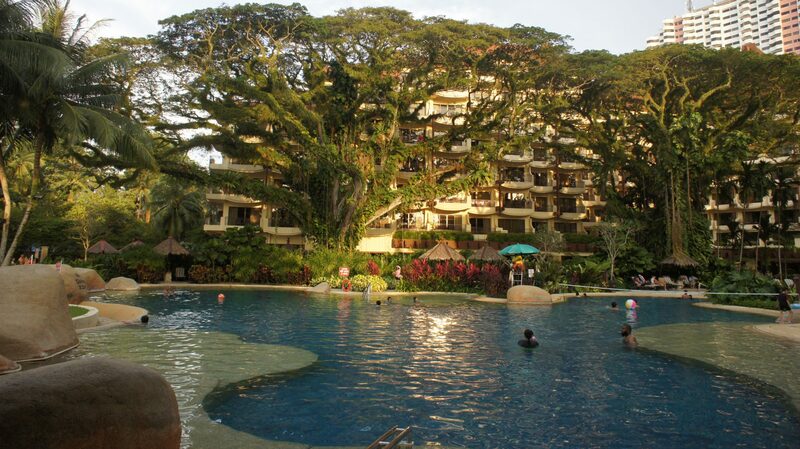 We stayed in a beautiful resort called the Shangri-la Rasa Sayang. It was absolute heaven. We also visited Georgetown itself which is a UNESCO world heritage site. It has many colonial buildings some of which are a bit run down. 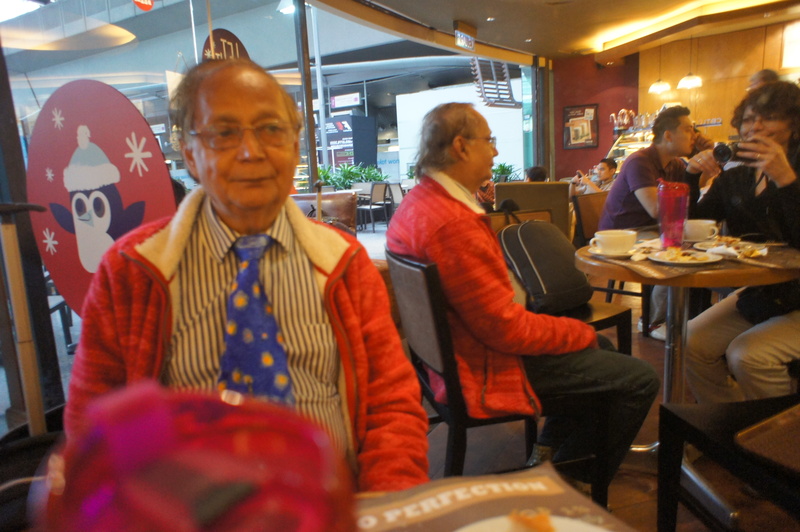 Our dad is doing well; he’s working as a professor of Geophysics at UTP (Technical University of Petronas) where he has his own research center with about 15 Ph.D. students. 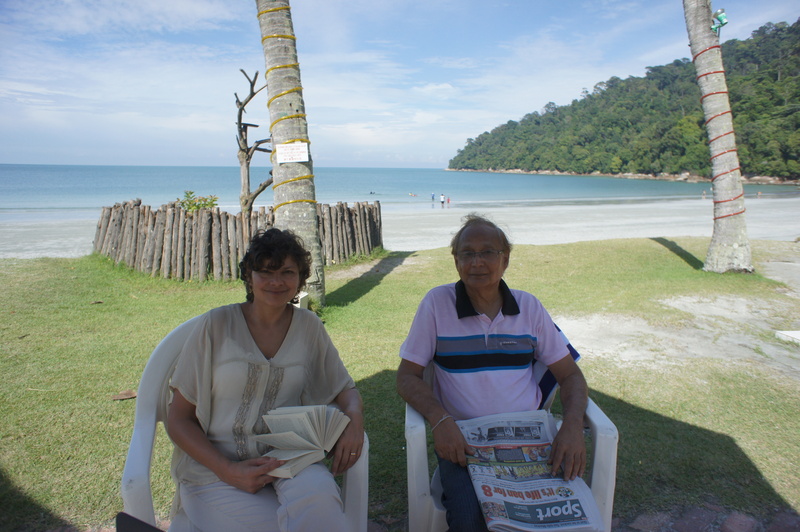 Next, we went to Pangkor Island, where our dad (dr. Deva) took us to the Pankgkor Island Beach resort. 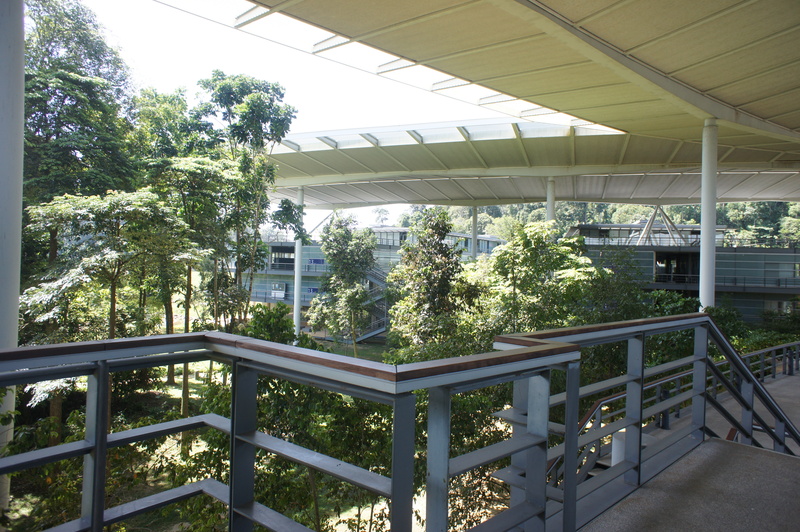 It’s a beautiful place, with monkeys, hornbills and a type of hog or boar who loved the tropical fruits that were meant for the hornbills. Here we are reading! Nancy and I also kayaked one afternoon when there were quite a few waves. Way back in the 90’s when I lived in La Jolla I would kayak every weekend, can’t believe how long ago that was. We headed back to Ipoh where my dad lives and the next day (Sunday) returned to KL. I was a bit sick (something I ate) so Nancy helped me pack. In KL I met my friend Michael Chan whom I had not seen for 25 years! We were friends at ASH (High School) – see my Facebook page for photo’s. It was great to see him again and meet his wife Joanne and their sons Orion and Aron. Great kids! Nancy returned to Holland the next day while I left on Tuesday the 24th (day before Christmas). I will miss Malaysia and miss my dad as well! Sheila, I read all your blogs, and enjoy them very much. I am so happy you are so well, full of wonderful plans! My reply on this first blog because I started reading the last one first! Seeing the pictures and the comment I can fully understand you miss not only the land, your dad and other things, but it also is part of your youth. You must have had a great childhood. actually I grew up here in Holland in Zoeterwoude (and yes, I had a great childhood, being raised in a small dutch village!). My dad is from India and only moved to Malaysia recently, 8 years ago. But every time I visit there I feel at home, so in a way you are right! Thanks!